At most universities, when the semester ends, students leave campus to travel and visit friends and relatives. 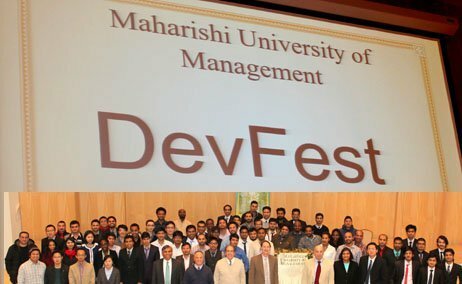 However, last month, 85 graduate computer science students at Maharishi University of Management chose to stay on campus for an additional 7 days to compete in a team software competition called DevFest 2015. 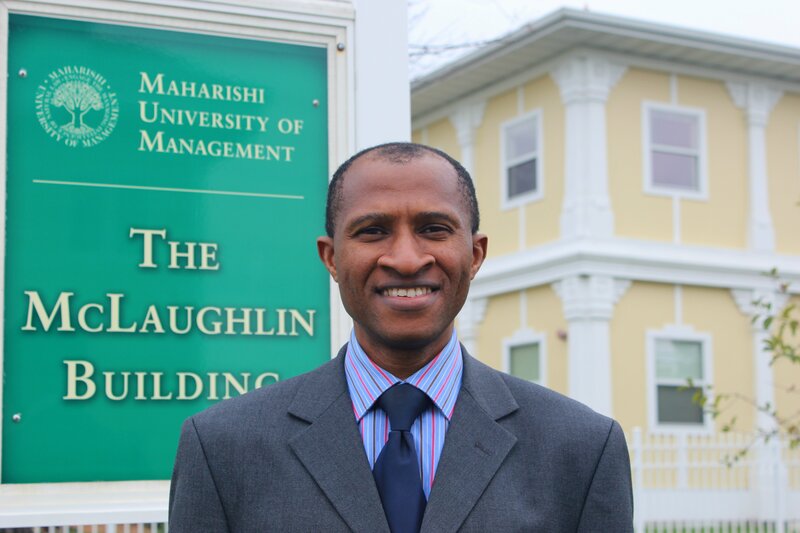 After classes ended in December, Maharishi University of Management held its first hackathon-like Development Festival for generating new engagement tools to promote Maharishi Ayurveda* in the world. The goal of DevFest was to generate software engagement tools of various technology types and formats, while providing the students with an enjoyable and fulfilling experience. The DevFest was a structured 7-day on-campus event, and included activities ranging from education in Maharishi Ayurveda, to generation of interesting project ideas, to team development of solution products, and final presentation for evaluation. 85 graduate students in the Computer Science Department split into faculty-mentored teams which created 14 projects, and the top three teams won significant cash prizes. The projects addressed Maharishi Ayurveda from many perspectives: education and diet, herbs and crops, and health situations such as pregnancy and diabetes. Solutions were proposed to meet the needs of the general public as well as wellness consultants, through tools such as interactive websites and Mobile/FaceBook apps. The winning team won $1000 for their Ayurvedic Chef web application. $600 was awarded to the AgriVeda team, and the Our Vedic Life team took home $300. Congratulations to the students, organizers and judges for a most enjoyable, educational, and fun-filled experience. See photos from the 7-day competition. First place: Ayurvedic Chef Project: Ananda Subedi, Riwaj Rimal, Bibek Karki, Regan Rajak, Pradeep Basnet, Dheeraj Pandey. 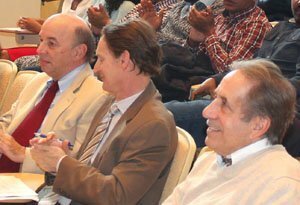 Photo includes 2 faculty. Second place: AgriVeda Project: Sanjay Paudel, Adam Manandhar, Samir Karki, Surendra Maharjan, Hari K. Chaudhary, Shyamu Neupane. Photo includes 2 faculty. Third place: Our Vedic Life Project: Shailesh Singh, Shree Raj Karki, Samrat Bhusal, Rikesh Karkee, Yubraj Pokharel, Tara Prasad Adhikari, Dharma Kshetri. Photo includes 2 faculty. * Maharishi Ayurveda is an ancient system of natural, prevention-oriented Vedic healthcare known to create balance in mind and body by detecting and eliminating underlying causes of disease.